His research interests include economics of innovation and entrepreneurship, innovation management, service and business model innovation (e. g. sharing/platform economy models), academic entrepreneurship, knowledge transfer, and spatial dimensions of innovation and entrepreneurship. 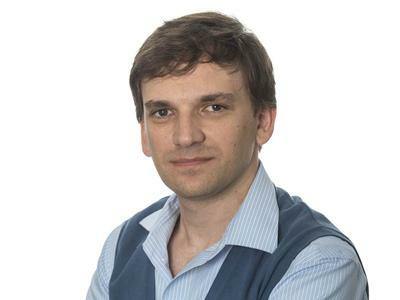 Vadim's current research is funded by the British Academy and Newton Fund, the EPSRC Institutional Sponsorship Scheme, the Web Science Institute, and the European Commission. He has previously been a Senior Lecturer at the Suffolk Business School and Research Associate at the University of Cambridge, working on projects funded by EPSRC, ESRC, NESTA, UK and Northern Ireland government departments, the National Institute of Advanced Industrial Science and Technology, Japan, and the Australian Business Foundation. Vadim was a Visiting Professor at the Economics Department at Tilburg University and a Regional Research Scholar at the Woodrow Wilson International Center in Washington, D.C. He was the recipient of the BP Cambridge Scholarship, the Kapitza Cambridge Scholarship and the Cambridge Political Economy Society Trust Award. Vadim holds an MPhil degree in Planning, Growth and Regeneration and a PhD in Management Studies, both from the University of Cambridge. He also holds a candidate degree in Economic Theory from the Lomonosov Moscow State University. 2016-17 The exploratory study of consumer issues in the sharing economy, funded by the Consumers, Health, Agriculture, and Food Executive Agency, European Union. 2010-11, Integrated Economic and Spatial Modelling Tool, funded by East of England Development Agency (EEDA). 2006-08, Regional Innovation and Absorptive Capacity of Firms, funded by the Department for Innovation, Universities and Skills (DIUS). 2007-08, Hidden Innovation in Services, funded by the National Endowment for Science, Technology and the Arts (NESTA). 2007, The Contribution of Services and Other Sectors to Australian Productivity Growth 1980-2004, funded by the Australian Business Foundation. 2006, The Incubation and Spin Off System for High-Technology Firms in the Cambridge Sub-Region and Oxfordshire, funded by The National Institute of Advanced Industrial Science and Technology (AIST), Japan. Grinevich, V., Huber, F., Baines, L., & Eder, M. (2015). Upscaling in the sharing economy: insights from the UK. Seeburg, AT: University of Southampton; University Seeburg Castle. Abreu, M., Grinevich, V., Kitson, M., & Savona, M. (2011). The changing face of innovation policy: implications for the Northern Ireland economy. Belfast, GB: Department of Enterprise, Trade and Investment, and University of Cambridge. Abreu, M., Grinevich, V., Hughes, A., & Kitson, M. (2009). Knowledge exchange between academics and the business, public and third sectors. London, GB: University of Cambridge; Imperial College London. Abreu, M., Grinevich, V., Kitson, M., & Savona, M. (2008). Absorptive capacity and regional patterns of innovation. Cambridge, GB: Department for Innovation, Universities & Skills. Abreu, M., Grinevich, V., Kitson, M., & Savona, M. (2008). Taking services seriously: how policy can stimulate the 'hidden innovation' in the UK’s services economy. London, GB: National Endowment for Science, Technology and the Arts. Abreu, M., Grinevich, V., Hughes, A., Kitson, M., & Ternouth, P. (2008). Universities, business and knowledge exchange. London, GB: University of Cambridge; Council for Industry and Higher Education. Hughes, A., & Grinevich, V. (2007). The contribution of services and other sectors to Australian productivity growth 1980-2004. Cambridge, GB: Australian Business Foundation. Grinevich, V. (2015). Design and service innovation: a strategic management perspective. In D. Sangiori, A. Prendiville, J. Jung, & E. Yu (Eds. ), Design for Service Innovation & Development (pp. 47-48). Lancaster, GB: Lancaster University. Abreu, M., & Grinevich, V. (2013). Academic entrepreneurship and the geography of university knowledge flows in the UK. In R. Crescenzi, & M. Percoco (Eds. ), Geography, Institutions and Regional Economic Performance (pp. 187-206). (Advances in Spatial Science). Berlin, DE: Springer. Abreu, M., & Grinevich, V. (2013). Academic interactions with private, public and not-for-profit organisations: the known unknowns. In J. J. M. Ferreira, M. Raposo, R. Rutten, & A. Varga (Eds. ), Cooperation, Clusters, and Knowledge Transfer: Universities and Firms Towards Regional Competitiveness (pp. 181-206). (Advances in Spatial Sciences). Berlin, DE: Springer. Grinevich, V. (2013). Region-specific productivity competitiveness and the university-industry interface. In T. Baycan (Ed. ), Knowledge Commercialisation and Valorization in Regional Economic Development Cheltenham, GB: Edward Elgar Publishing. Гриневич, В. (2002). New IT-based sectors as a foundation of the global economy. In В. П. Колесов (Ed. ), Globalisation of the world economy and Russia (pp. 148-169). Russian Federation, RU: TEIS: Moscow. Гриневич, В. (2001). Globalisation of the World Economy: The role of corporations. In В. П. Колесов, & М. Н. Осьмова (Eds. ), Globalisation of the World Economy and Russia (pp. 139-149). Russian Federation, RU: TEIS: Moscow. Гриневич, В. (2001). Information and economic development. In В. П. Колесов (Ed. ), Information society and Russia (pp. 93-112). Russian Federation, RU: TEIS: Moscow. Гриневич, В. (2001). Washington consensus and privatisation in Russia: Reassessment of values. In В. П. Колесов, & М. Н. Осьмова (Eds. ), Globalisation of the World Economy and Russia II (pp. 298-302). Russian Federation, RU: TEIS: Moscow. VVA: Pierre Hausemer, Julia Rzepecka, Marius Dragulin, Simone Vitiello, Lison Rabuel, Madalina Nunu, Adriana Rodriguez Diaz Milieu: Emma Psaila, Sara Fiorentini GfK: Sara Gysen, Tim Meeusen, Simon Quaschning, Allison Dunne Vadim Grinevich with Franz Huber and Linda Baines (2017). Exploratory Study of consumer issues in peer-to-peer platform markets. European Commission. Hughes, A., Druilhe, C., & Grinevich, V. (2006). The incubation and spin-off system for high technology firms in the Cambridge sub-region and Oxfordshire. A report by the University of Cambridge Centre for Business Research for the National Institute of Advanced Industrial Science and Technology, Japan. Cambridge, GB: University of Cambridge Centre for Business Research.